POSDATA offers Onsite Service as an option for their customers across the United States, Canada, and Puerto Rico. The option of Onsite Repair Service ensures a level of convenience for users of POSDATA’s best-in-class product offerings inclusive of INTEL products from IBM, HP, and Dell. POSDATA’s existing Depot and Reverse Logistics capabilities, along with Onsite Service, complete the comprehensive service and support packages offered to existing customers and prospects. 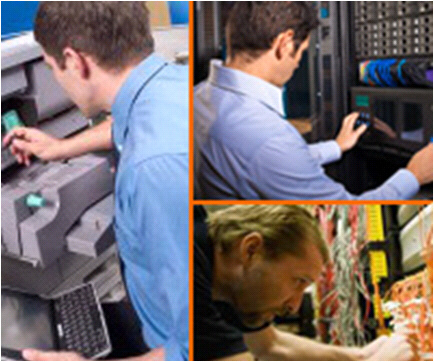 POSDATA’s Onsite Services are developed to help customers more cost-effectively maintain their IT infrastructure. The expanded Onsite Service capability from POSDATA minimizes the downtime associated with maintaining the performance of the user’s equipment. It does this by significantly reducing the need and time consumed to return equipment to the supplier for routine maintenance issues. POSDATA’s Onsite Service, in addition to its Depot Repair and Reverse Logistics capabilities, provides customers a one-stop source for all of their support requirements, be it onsite, or from POSDATA’s depot repair facility in Louisville, Kentucky.